The sanding personnel who work in Wood Floor Sanding Limited can take care of the spotless and glamorous appearance of your floor by providing qualitative floor sanding. They can stain your floor and fill the dents which it may have between the boards or planks. 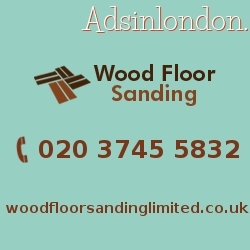 The sanding, provided by this agency is the best option to restore old, discoloured and darkened floors including floorboards, parquet, staircases, oak and pine floors.